Item # 314245 Stash Points: 5,495 (?) This is the number of points you get in The Zumiez Stash for purchasing this item. Stash points are redeemable for exclusive rewards only available to Zumiez Stash members. To redeem your points check out the rewards catalog on thestash.zumiez.com. For maximum technical riding, look no further than the Thank You Good Clouds 7.75" Skateboard Deck. 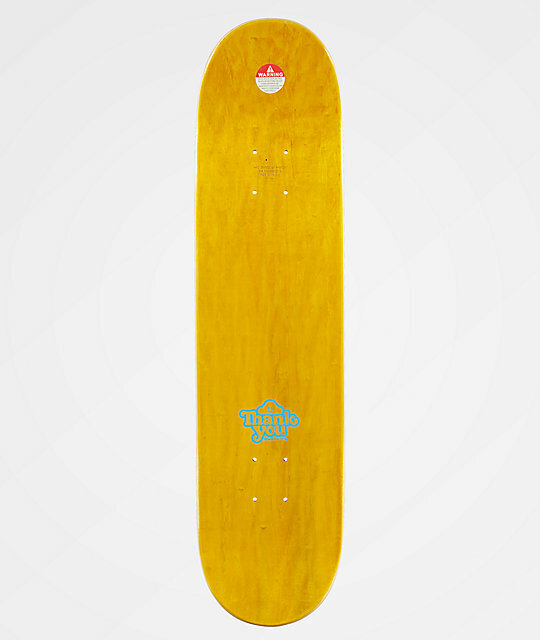 This small and lively deck features extremely mild concave and wheel wells for an old school feel and stable landings. Finished with short and wide kick tails at a moderate pitch, this deck provides quick pop with surprising ollie power, making it perfect for beginners and old school riders alike. 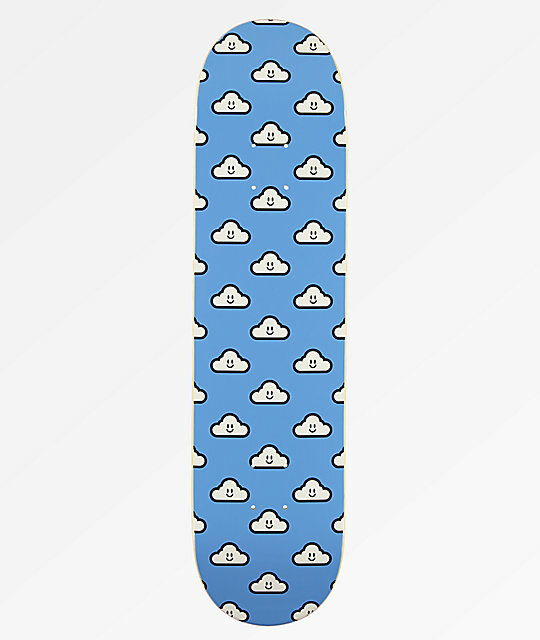 Good Clouds 7.75" Skateboard Deck from Thank You Skateboards. Slight concave, minimal wheel wells. Very short, wide kick tails with moderate pitch.